Jennifer Hasser, M.Ed. is a nationally recognized advocate, author, and trainer in the field of reading. Jennifer’s passion for education began in the high school behavior disorder classroom. She went on to found Syllables Learning Center and author the Kendore/SMART reading curriculum. Currently Executive Director of Kendore Learning and Syllables Learning Center, Jennifer uses her expertise to guide reading remediation and enrichment in both one-on-one and classroom settings. Since 2003, Jennifer has trained over 1,000 teachers in the Kendore/SMART curriculum and helped thousands of students acquire language skills. 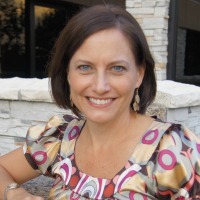 She is a regular presenter at reading and dyslexia conferences across the nation and serves as an educational consultant to a number of Atlanta-area schools. As Branch President of the International Dyslexia Association, she founded the Dyslexia Dash 5K Run and received the Outstanding Service Award for her contributions to dyslexia awareness. Catherine Brehm intimately understands the importance of solid reading instruction. When her son was in second grade, he was diagnosed with dyslexia. Thanks to the intensive intervention he received at Syllables Learning Center, he is now a thriving college student planning for a bright future. Catherine strongly believes that all children deserve access to the resources that helped put her son on the right track. In her professional life, Catherine spent eight years as an entrepreneur growing a family business. She now serves as Director of Marketing and Communications for Syllables Learning Center. Kelly Deushane is an organizing guru, writer, and proud grandmother to Elsie. An avid supporter of education through her volunteer work, Kelly understands first hand the power of the Kendore program. One daughter is a “graduate” of the program and another is completing a Master’s degree in elementary education. After 14 years as a television reporter and anchor, Kelly spent many years volunteering at Fulton County Public Schools, King’s Ridge Christian School, Girl Scouts and North Point Community Church, as well as serving as the stateside coordinator for a mission in Jamaica. She now works at the Container Store (organizing extraordinaire!) and owns a small decorating business. Kelly lives in metro Atlanta with her husband, John, the President and GM of The Networks of 11 Alive, and has two adult daughters, Bailey and Taylor. Her hobbies include reading, scrapbooking, and organizing. Originally from New York City, Pam Evans has lived in the north Atlanta suburbs for more than 20 years. Her career began in Marketing and Advertising, where she worked for some outstanding companies including Ogilvy & Mather Direct and CapitalOne, and eventually became a partner in her own direct marketing agency for 13 years. Pam earned her license in 2009 and has been a full-time Realtor for several years. She loves the fact that strategic marketing plays a huge role in successfully selling a home. Pam is a Partner in Education with Forsyth County Schools, and has a profound appreciation for great educators who help ensure the success of each child. Pam is the 2016 President of the Women’s Council of Realtors – Atlanta Chapter. She also sits on the 2016 Atlanta Board of Realtors Board of Directors, and has several designations including MCNE (Master Certified Negotiation Expert). She happily works with both sellers and buyers and delights in helping people accomplish their real estate goals. Pam has two boys, Joe and Matt, who are 22 and 19, and significantly taller than her. Barry is Executive Vice President and co-founder of Flex HR, a management consulting firm, specializing in human capital issues, managing change, and providing executive level human resource leadership to small and medium sized organizations. Barry is also an Executive in Residence at Kennesaw State University and has served on the Board of Directors of both Georgia Tech’s Scheller College of Business and Kennesaw State University’s Coles College of Business. He currently sits on the President’s Advisory Board of Oglethorpe University. 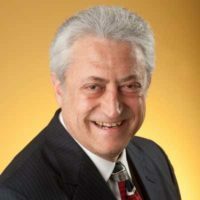 Barry served on the Small Business Council of the Metro Atlanta Chamber of Commerce and the Board of Directors of the American-Israel Chamber of Commerce. Barry was elected to the St. Joseph’s Hospital Grand Rounds and was nominated by the Metro Atlanta Chamber of Commerce as Small Business Person of the Year and by Catalyst/Business to Business Magazine as Entrepreneur of the Year. He has served as a guest lecturer at major universities in the United States and Canada and has published articles in several influential human resource journals. Barry has deep experience after being on several nonprofit boards of directors including a small engineering firm, a restaurant company, a search firm, a financial services company, a public relations firm, the Alliance Theatre and the Edge Connection where he was past board chair. Barry holds a Bachelor of Science degree from Georgia Tech with a double major in management and psychology and a minor in urban sociology. His MBA studies were taken at Georgia State University and Georgia Tech. Barry is a member of Beta Gamma Sigma, the national honor society for business school graduates. Married to Vicki Flink for 43 years, they have one son, David who is CEO of Eye to Eye, a national mentoring organization for children with learning disabilities. 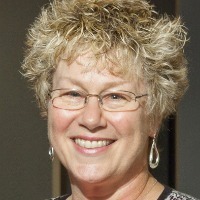 Marla Shapiro, PhD, NCSP, is a developmental neuropsychologist with 25 years of clinical experience in schools, hospitals, clinics, universities, and private practice, in both non-profit and for-profit organizations. Before moving back into private practice to continue clinical work, Marla helped launch and served as chief neuropsychologist at the Concussion Institute at Gwinnett Medical Center-Duluth. 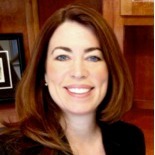 Prior to this position, while on faculty at Children’s National Medical Center and George Washington School of Medicine in Washington, D.C., she worked closely with children, adolescents, and adults with a variety of medical and neurological disorders, including ADHD, learning disabilities, and behavioral disorders. In the 90’s she helped to start the young adult reading research program under the direction of Drs. Bennett and Sally Shaywitz at the Yale Center for Learning, then returned to Atlanta to work on NICHD-funded reading intervention research with Dr. Robin Morris. 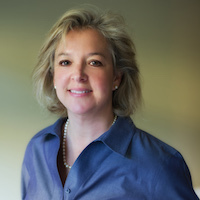 Dr. Shapiro received her BA from the University of Virginia and her graduate training in School Psychology and Developmental Neuropsychology at Georgia State University. 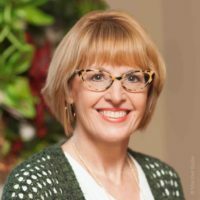 She is currently licensed as a psychologist in Georgia and Maryland, and is also a Nationally Certified School Psychologist. Always striving to practice the life balance that she preaches to her clients and her family, Dr. Shapiro is also a fused-glass artist and has continued to enjoy her roles as mom to her own high school student-athlete and Camp Sunshine volunteer, while pursuing her own athletic passions as a triathlete and running coach. Dr. Shapiro lives in Atlanta with her husband, daughter, and two Australian Shepherds. "We saw a major breakthrough in Jake’s progress. He came home with a book last week and read it without me telling him to. He read all the way home, and then asked if he could read it again to me before bed! He said I love reading. Wow! What happened to my son?" "Kira just advanced to a new reading level and her confidence is sky high! Thank you for providing such a great program to our community." "I want to sing your praises for the Kendore program that we started this year. My students have made significant gains and our whole team now wants to be trained in the program." "I can’t wait to get started using this with my next class. Thank you!" "This is the best training I've ever been to!"